I chose to become a chiropractor to help the community lead the healthiest life possible. 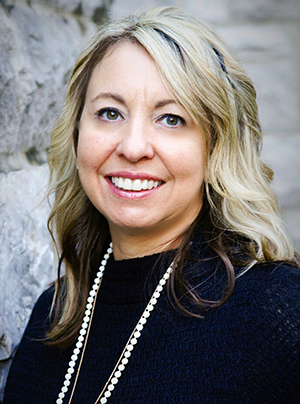 Dr. Stephanie has served the River Bend area for over 20 years. Born and raised here, she loves and values the community with her whole heart. After graduating from Alton High School, she pursued her chiropractic education from Palmer College of Chiropractic in Davenport, IA. For her first year practicing, Dr. Stephanie covered for doctors at different chiropractic offices across Illinois when they needed time off or extra help growing an office. During this time, she was able to compare many practices which helped cultivate her own method of serving the community. After more than 20 years of establishing River Bend Chiropractic Center, she continues to provide the highest quality natural healthcare to her hometown community and loves the rewarding feeling she gets from being able to help others. Dr. Stephanie loves spending time with her husband Joseph and their two children Bella and Christian. They are an active family and enjoy all that the River Bend area has to offer. In an effort to stay healthy, they all receive regular chiropractic care. Dr. Stephanie is an active member of River Bend Growth Association which helps to encourage small business growth in her community. She is actively involved in fund raising for many local charities and supports many area schools and teams by donating her time and gifts. In 2016 she was honored to receive the YWCA Woman of Distinction award recognizing outstanding women leaders in the River Bend community. With the experience of Dr. Stephanie Monroe, chiropractic care can provide you and your family a lifetime of health and happiness. Contact us to schedule your appointment today!